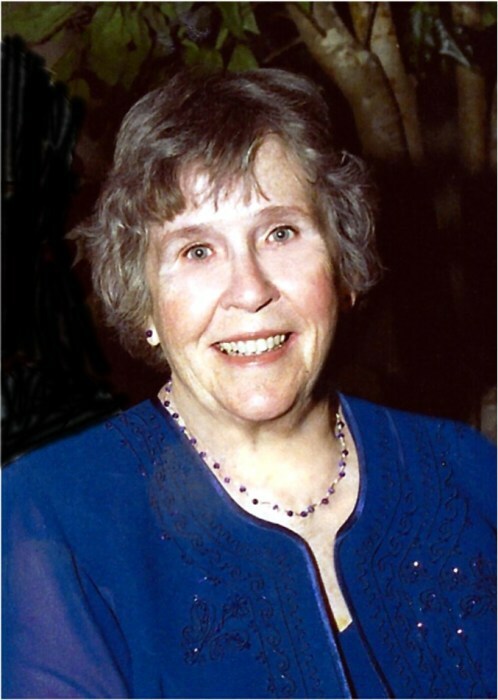 LOUISBURG – Jeanne Fenske Sims, 91, of Louisburg formerly of Durham, died Friday morning. Jeanne was a daughter of the late Otto and Marie k. Koenig. She was preceded in death by her first husband, Chuck Fenske and her brother, Otto “Bill” Koenig. Jeanne was a member of Little River Presbyterian Church. Funeral service will be held 3 p.m. Sunday at Louisburg United Methodist Church. The family will receive friends immediately following the service. A private family burial will be held at Little River Presbyterian Church Cemetery. Jeanne is survived by her loving husband of 15 years, Bill Sims; daughter and son-in-law, Sharon and Scott Baldwin of Waxhaw; son and daughter-in-law, Charles and Nancy Fenske of Louisburg; 3 grandchildren and 5 great-grandchildren. In lieu of flowers memorials may be made to Little River Presbyterian Church, 4211 Little River Church Rd. Hurdle Mills, NC 27541.